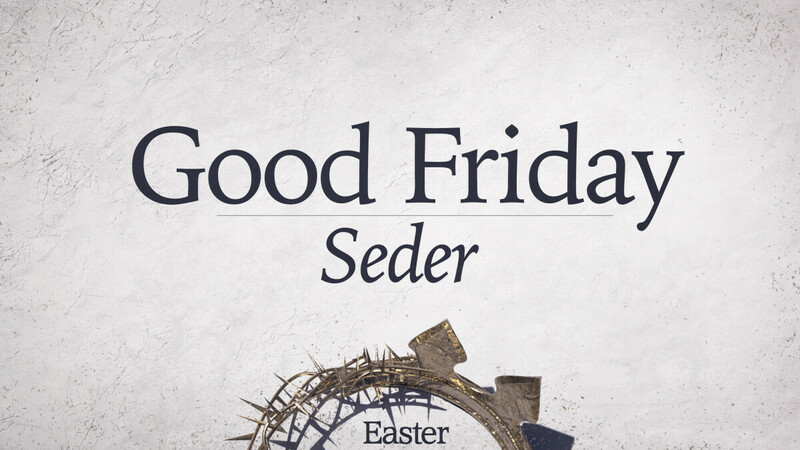 This year for our Good Friday Service we will be participating in a Jewish Seder Demonstration. The Passover Seder is a Jewish ritual feast that marks the beginning of the Passover. We will walk through the rich tradition that remembers God's work for the nation of Israel leading them out of Egypt into the Promise Land. This is an interactive demonstration involving tasting different elements of the Passover meal. Children, K-12th grades, are encouraged to attend. Childcare will be provided for Nursery-5YO.